Rome is a must-visit destination of thousands of people, and it’s not hard to see why. It’s perfect for a bustling city break and if you have the time to stay for a little longer, it can be combined with a visit to nearby Tuscany or Umbria. The official language in Rome is Italian, and they use the Euro. Every night at the Trevi Fountain about 3,000 Euros are swept up from the bottom of the basin. The money is donated to Caritas, a catholic charity, who uses the money to provide services for needy families in Rome. Modern Rome has 280 fountains and more than 900 churches. Rome’s mascot is a she-wolf that cared for the brothers Romulus and Remus, the legendary founders of Rome. There is a law in Rome that allows cats to live without disruption in the place where they were born; there are hundreds of wild cats climbing the walls of the Colosseum, and sleeping among the ruins of the Forum. The Roman Emperor Trajan built the first-ever shopping mall between 107 and 110 AD! Rome attracted 12.6 million tourists in 2013 with the Vatican Museums welcoming 5.5 million and the Colosseum 5.1 million visitors. Rome has a sovereign state located entirely in its city limits, the Vatican City. 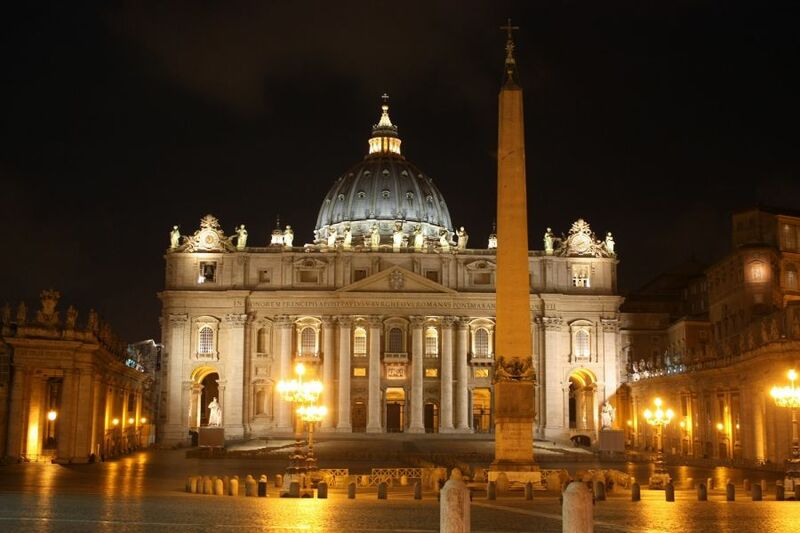 Vatican is the world’s smallest state and ruled by the Bishop of Rome, the Pope. If you are dying to visit Italy take a look at some of our holidays in Italy, from ski holidays to cookery classes and horse riding to spa breaks.